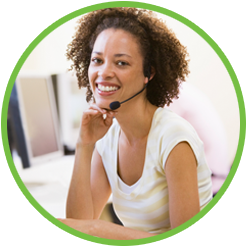 Contact North | Contact Nord’s IT Helpdesk support is available to assist students using its three distance delivery platforms – audioconferencing, videoconferencing and web conferencing (e-CLASSES). Download updates and files specific to you. Find solutions to common issues and problems. Review our Frequently Asked Questions (FAQs). Submit a support request and check the status of your request. The Self-Service Centre is available at www.contactnorthsupport.ca. Cannot login to your class on the web conferencing platform or having technical issues with the platform such as no sound or video. Cannot connect to your class on the audioconferencing or videoconferencing platform or experiencing technical issues, such as no sound or video. Any other urgent technical issue that is preventing you from participating in your course. Live support is available Monday – Friday, 7:30 a.m. to 11:00 p.m. (ET). Follow our Contact North | Contact Nord Network Status on Twitter for the latest notifications on system disruptions and scheduled maintenance. If there are no known issues, and you are still having technical difficulties, call our technical assistance hotline at 1-888-850-4628. Each college and university provides IT support services for its students on its platforms, software applications and network. Visit the list of colleges and universities to find your institution and their IT support link.